Sink and faucet manufacturer Lenova has introduced a new apron-front sink made from composite stone. The NovaGranite composite sink is part of the company’s Apron Front Ledge Prep Sink Collection, “a line notable for its sleek design and extreme functionality,” the company says. 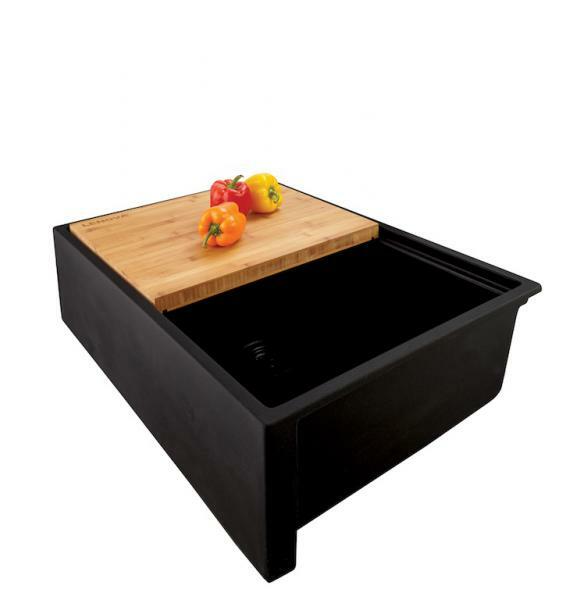 Currently available in black and white, the 30-inch single-bowl sink offers flexible design options, including an engineered platform ledge that converts easily into a food prep center. The NovaGranite sink retails from $975. Saloni's Brilliant graphic (back wall) is a playful take on a geometric mosaic. See it up close below. @ Copyright 2019 Residential Products Online. All Rights Reserved.